As I think about my time in Bordeaux, France so far, incredible is only word I can use to describe it. The city is absolutely beautiful, even in the winter. I will admit that it was all a little intimidating at first, as I speak almost no French, but the people of Bordeaux, and the other exchange students from all around the world have made it extremely enjoyable. The lifestyle in France is very different from that of Louisville. Walking distances that would be unheard of back home is an everyday event here, and relying completely on the use of the public transportation system is a totally new experience for me as well. In Bordeaux we are lucky enough to have a tram that covers most corners of the city, and takes us directly to our school. Our school, Bordeaux ecole de Management (BeM) is completely different from anything I had expected. When comparing BeM with UofL the two seem so far apart. BeM is not in the heart of the city, it actually takes me about 40 minutes to get out to the school in the mornings, between walking and about a 25 minute tram ride. The school day is also completely different. BeM operates on a sequence system instead of the normal semester system that we operate on. I actually just took a final in my first sequence today, It’s hard to believe that I have been here long enough for a sequence to be over already! Because they don’t use semesters for teaching, as you can imagine the class schedule is a little more intensive than we have back home. A day at school can go be from 8:30 a.m. to 4:45 p.m., with a couple coffee breaks, and an hour and half for lunch at noon. One of the great things about this program is that there are so many other international students here as well. Never in my life would imagine that I would be able to say I have friends from Canada, Mexico, Panama, France, Germany, Italy, Spain, Austria, Finland, Sweden, Hungary, South Korea, Singapore, Australia, and Russia in my classes. It has been really cool to get to spend time with the other students, and learn about their home countries (what they do for fun, and other aspects of their cultures). 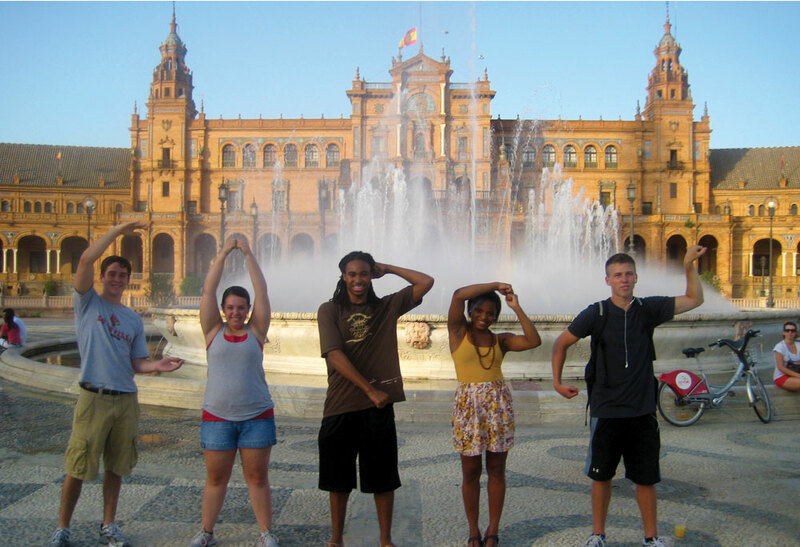 Once you get to your study abroad it is definitely worth the effort to come. Even if it does take your bag 17 days to arrive. I haven’t had the opportunity yet to travel outside of France, but look forward to doing that soon. The european railway system makes the traveling so easy, as well as the very inexpensive flights from country to country over here. Tomorrow I get to experience my first European Soccer game, which from what I hear will a crazy atmosphere!